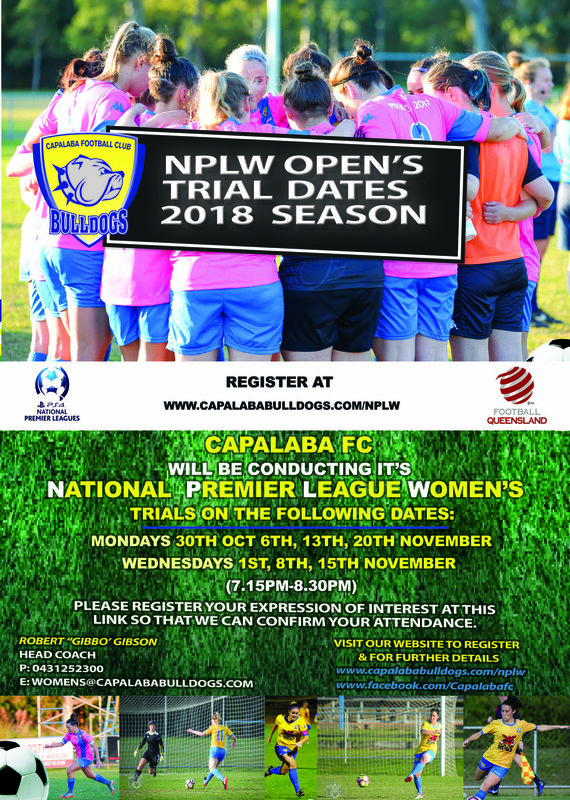 Capalaba FC are pleased to announce trial dates for our Senior Women's PlayStation 4 National Premier Leagues Squad for the 2018 playing season. Head Coach Robert Gibson will take charge of the NPLW Open's Women's team for 2018, teaming with Assistant Coach Shaun McAney. Capalaba FC is excited to provide our female players the platform to perform at the NPL level for the next 5 years! Please register your expression of interest HERE so that we can confirm your attendance. For further information please visit our NPLW webpage.